The direction to “continue in pattern” is causing confusion among some knitters. I think it is one of the more clear directions in the knitting lingo, but maybe I am just weird. 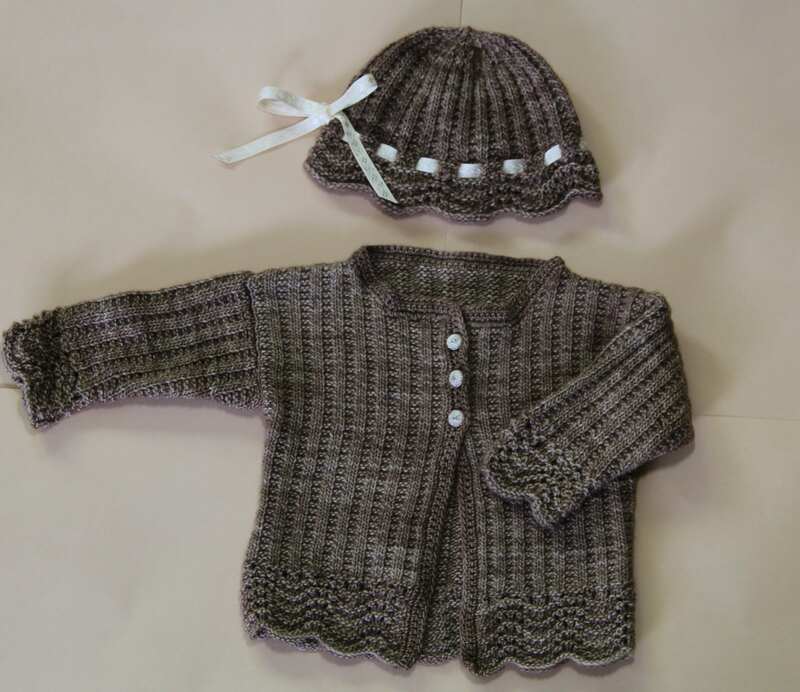 Some knitters believe that unless the pattern continues completely unbroken as it is written (for example no decreases or increases) only then can a designer use the phrase “continue in pattern”. 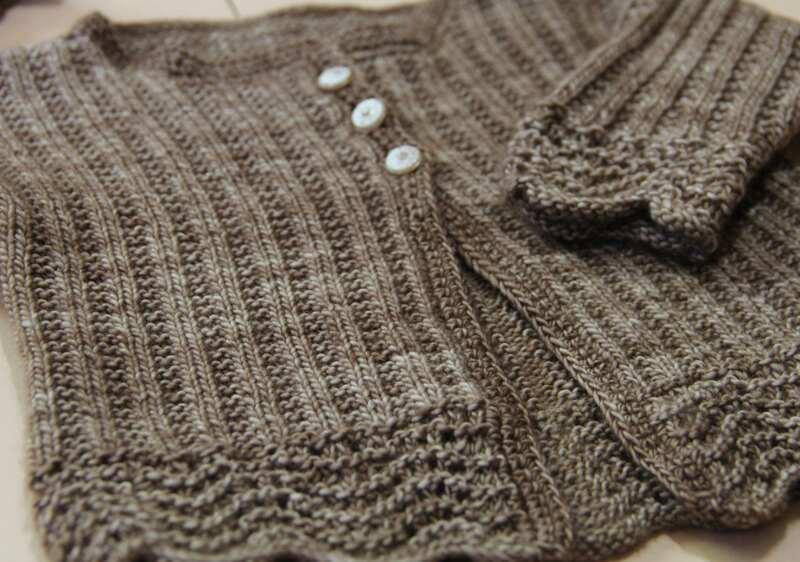 If increases or decreases are made, they argue that “continue in pattern” is no longer applicable because the knitting no longer follows the pattern as originally set down. I know that a portion of knitters want hand-holding through out a pattern. I also know that patterns today give way more instruction to a knitter than patterns of yesteryear. I have an old pattern from the late 1800s that starts with Row 1 and never gives the amount to cast on. It then gives Row 2, and there it pretty much ends. In between is a whole lot of shaping that is never addressed. If every row with an increase or decrease in it needs to be written out some patterns would be the size of Tolstoy’s “War and Peace”. To “continue in pattern” means just that. 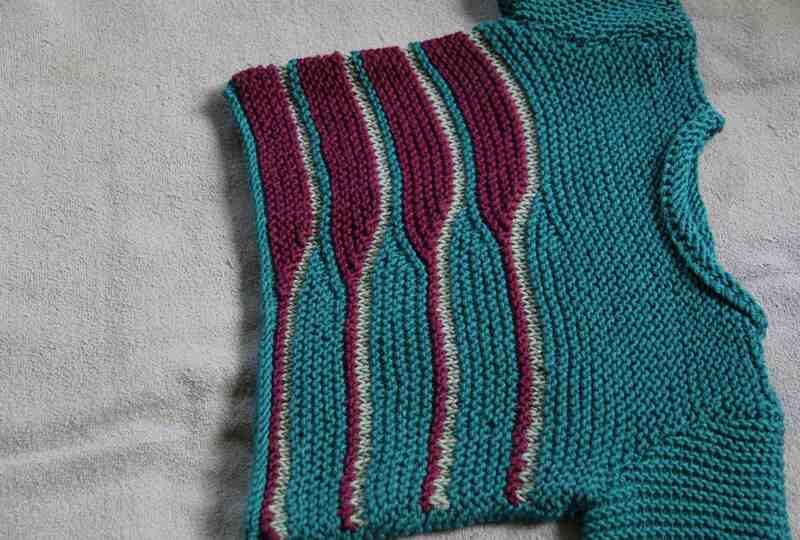 Keep the continuity while working the increases or decreases into the already existing pattern. Yes, it means you have to “read” the knitting. You need to be familiar with the pattern stitches enough to recognize what they are and when they occur. 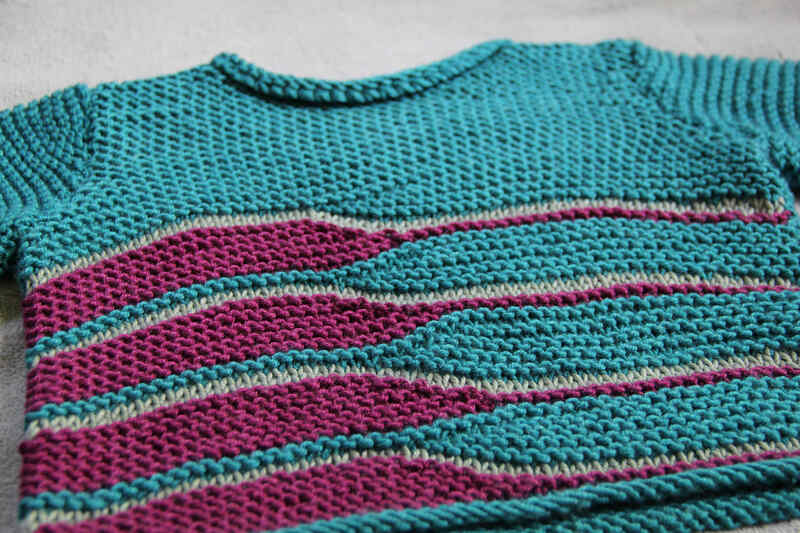 While an increase or decrease may change the first stitch following it from a knit to a purl or purl to a knit in moss stitch, it does not change the overall pattern that must be maintained across a row. In this sense “continue in pattern” is a valid phrase accurately describing what is taking place. Lengths are important figures. They define the size of the armhole and the vertical span of the garment. They tell at what intervals to start and stop increases or decreases for bust and waist shaping, when to start neckline shaping, and how long sleeves should be. In addition to being measured in inches and centimeters, length is most importantly measured in rows by designers and tech editors. Yet knitters only think in terms of inches and centimeters when it comes to length. 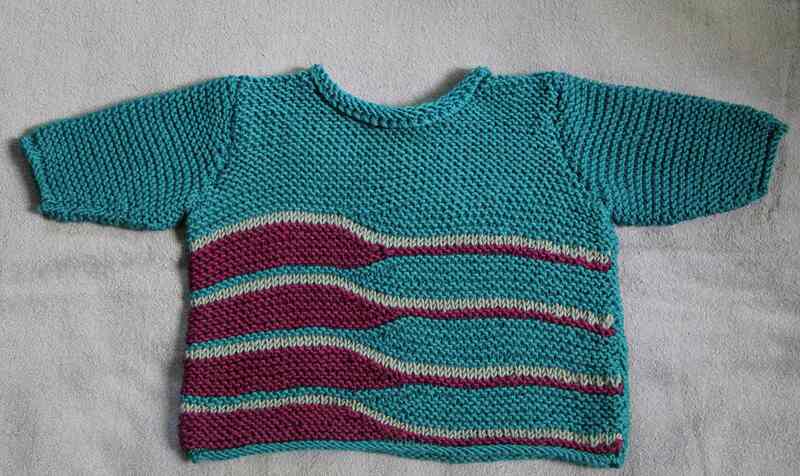 This is where the problem lies for knitters: length must be thought of in rows. The marriage between me and my tape measure begins with the words, “Cont in patt until piece measures…” and I answer “I will.” And I do. I knit and then measure. Knit some more. Measure. Knit more. Measure. At this point the feeling I will never reach the required measurement settles over me. I am stressing. This is the reason why the word tension substitutes so nicely for the word gauge. With less than a quarter of an inch to go, infinitesimally less than 1 centimeter, I knit like mad. Stop. Measure. And still I need to knit one more maybe two more rows. Not until I reach the big UNTIL can the “death do ye part” happen where I am free…sort of…until “Cont in patt…” shows up again and restarts the ceremony. As a designer and tech editor, I go through none of that angst. Why? Because I am dealing with rows. I have transferred all the inches and centimeter measurements into rows. No guess work on whether I am pulling the piece too much just to have it finally reach the “until” mark, no constant start and stop to measure, no anxiety build up till I’m about to scream. While the number of rows per inch is important to all garments it is especially essential to the Raglan style. All four raglans must have the exact same number of rows in them to achieve a neat looking garment. 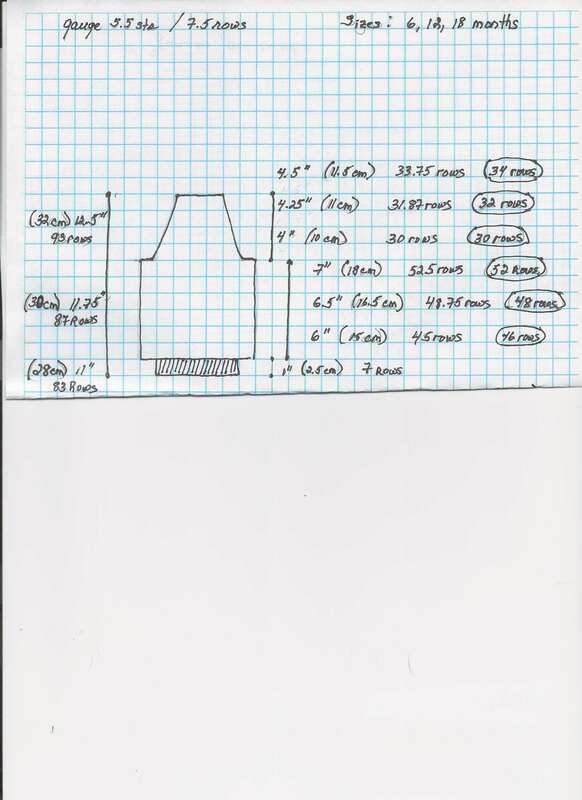 Above is my working schematic for an imaginary raglan baby sweater. I like to do my rough schematics by hand because it is easier for me to quickly change things as needed. When it is clear that the pattern will work, I’ll aggravate myself drawing it by computer. In order to divorce my tape measure and reduce anxiety (I always say I knit for pleasure and relaxation) the first thing I need to do is approach the pattern like a designer or tech editor. I take the schematic and the row gauge (tension), a piece of paper, a pencil and a calculator (a cup of tea helps) and sitting in a comfortable chair I do the math. The row gauge on this schematic is 7.5 rows per inch (2.5) cm. Lovely. Half rows in knitting don’t occur. It’s whole rows only. Note to self: I’ll be rounding off. The next thing I look at are the measurements for the size I am interested in knitting. The schematic tells me it covers 3 sizes: 6, 12, 18 months. I’m choosing the 6 month one which is the smallest size. The sweater is constructed bottom up so I’ll be starting at the ribbing. The length of the ribbing is one inch (2.5) cm. I know that the gauge (tension) is 7.5 rows per inch. I am already screwed. Check written instructions. First side row is RS row. Body pattern begins on a RS row. Okay, using fingers count out RS, WS rows, 6th row is my thumb and a WS, 7th is RS—if I end it here the next row is WS. No good, body patt has to start RS so I can end it with either the 6th or 8th row. Now it depends on a number of things, including the body patt whether I will end it one row short or long of 7 rows. But for this demo, I am going to work in ribbing for 8 rows. I make a note of this on my own little schematic. 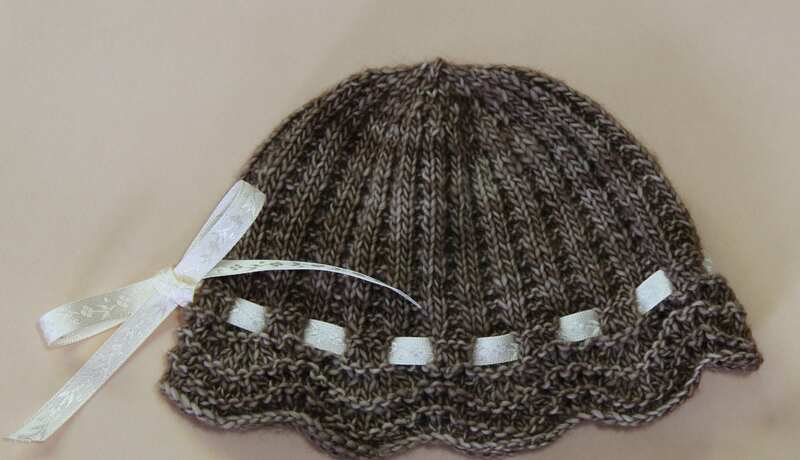 The body patt is worked for 6″ (15) cm for the 6 month size before raglan shaping starts. 7.5 times 6″ gives me 45 rows. Glance at written pattern. Does raglan shaping begin with RS or WS row? It begins on RS row. So my 6″ will have to end with a WS row which means an even number. 45 is not an even number. Do I round up or down? Again this depends, but I rounded up once and I am going to do it again. Remember babies grow faster lengthwise. A little long, and baby has more time to grow into it. 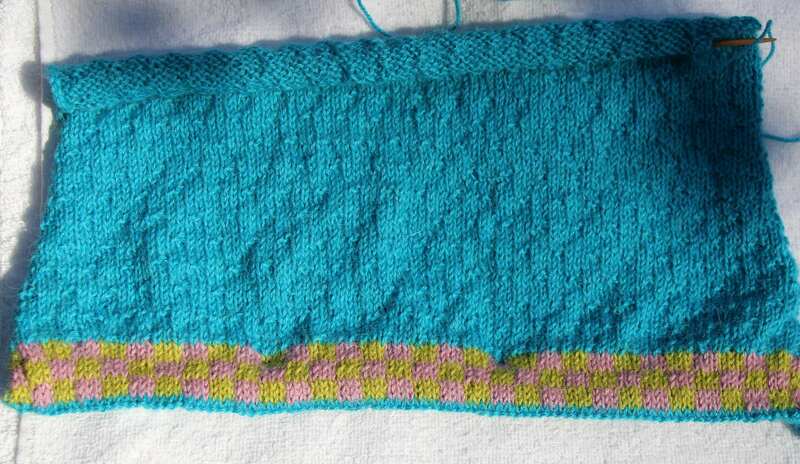 I am going to work the body pattern for 46 rows. I make a note of this on my schematic. The dreaded raglan shaping (Whoopeee!) My size is 4″ (10) cm. 7.5 times 4″ = 30. (YESSSSSSS!) Even number no rounding needed, do the Snoopy Happy Dance. Now I need to check to see how different my number is from their number. For that I look at the measurement for the entire piece. For the size I am making it is 11″ (28) cm. 7.5 times 11 = 82.5 rows. Now I add up the number of rows I actually plan to work. 8 + 46 + 30 = 84 rows. Divide 84 rows by 7.5 = 11.2″. I am not far off at all. I am going with my row numbers. I have successfully divorced my tape measure! This is really quite easy. If for some reason I can’t get the pattern’s called for row gauge, I substitute my row gauge and doing the same figuring I find how much I need to knit for the size I select. It doesn’t get much better than this.